David Dao, a doctor from Kentucky, was dragged off a United Airlines flight earlier this month. Videos taken by other passengers showed blood coming from his mouth, and the news of the incident made headlines around the world. Then, just this week, a large rabbit died after being flown from Heathrow Airport in London to Chicago. The rabbit was only 10 months old, in good health, and almost one meter long. Its father is certified by the Guinness World Records as the world's longest at 1.22 meters. A farmer from the U.S. state of Iowa purchased the rabbit and hoped to show it off at the upcoming state fair. He thought the young rabbit might grow larger than its father. In late March, United also received some bad publicity when two girls were stopped from getting on a plane. The airline said they were not wearing clothes the airline considered suitable. Now, the airline has created or updated new policies, which could prevent some of the problems from happening in the future. United's CEO, Oscar Munoz, said "our policies got in the way of our values" and that "procedures" prevented employees from "doing what's right." 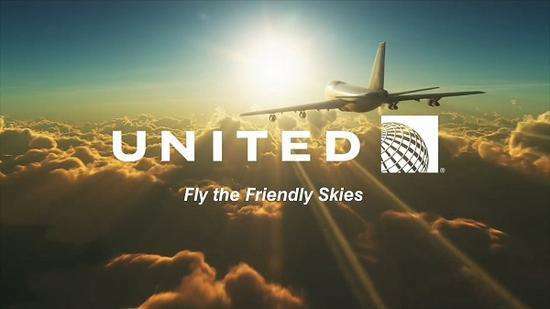 After Dao was injured while being taken off the plane, many airline industry experts said the problem could have been prevented if United had offered passengers more money to leave their seats. One of the new policies is that United can offer people up to $10,000 to leave their seat if the flight has too many passengers. In the past, the incentive was based on the value of the ticket. United also said it will not prevent people from flying if they are already seated on the plane. Security or police officers will only be used if the passenger is creating a safety or security problem. Other parts of the plan include allowing airline workers to solve problems in the moment instead of relying on strict guidelines. The workers will be trained to deal with difficult situations like the one they faced on the flight from Chicago to Kentucky. In addition, the airline will give passengers whose bags have been permanently lost, $1,500 without asking for details of the contents. The man who bought the large rabbit, however, said he has not been offered money for his loss. Many people think the moves will be good for the airline. Reuters news agency reports Dao "applauds" the airline for the changes. On Thursday he also accepted a settlement with the airline for his treatment earlier this month. That means he and his lawyer will not pursue a public lawsuit. Others on social media are now saying they might just buy a ticket on a United flight if they might receive $10,000 for leaving a flight. Why don't you just drag me off if you want to marry me so much? In addition, the respondent disclosed professional confidences to one of the patients. Naomi was showing off her engagement ring. 1.The workers will be trained to deal with difficult situations like the one they faced on the flight from Chicago to Kentucky. When I worked in Florida I dealt with British people all the time. 2.After Dao was injured while being taken off the plane, many airline industry experts said the problem could have been prevented if United had offered passengers more money to leave their seats. He took off at once and headed back to the motel. The police stopped her and took her off to a police station.